HillaryClinton2016.com features news and updates regarding former Secretary of State Clinton and her decision of whether to run for President in 2016. Supporters of Clinton will have the opportunity to read the latest news about Hillary 2016 on the website, as well as to obtain the latest email updates about Hillary by joining the Hillary 2016 movement. In addition to news and updates, HillaryClinton2016.com features an online store selling Hillary Clinton merchandise. men’s and women’s apparel to show their enthusiasm for Clinton, including Hillary Clinton t-shirts, hoodies, and other clothing. 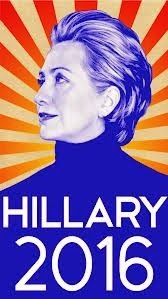 What’s more, all of the clothing for sale in the HillaryClinton2016.com is made in America. The Hillary Clinton t-shirts are all printed on high quality, American Apparel t-shirts, ensuring only the best for Hillary Clinton supporters. Hillary Clinton 2016 was started by volunteers in 2012. To encourage Hillary to run for President in 2016, the organization has helped thousands of Americans across the nation show their support for Hillary Clinton. For further information, visit Hillary Clinton .